Do you have a client with $100 million to spend? Maybe you should sell them one of the top 10 most expensive residential properties in the world -- if the opportunity arises. From Billionaire’s Row in central London to France’s Cote D’Azure and across the pond to the homes of various American magnates, Pursuitist.com has put together a list of the properties agents can only dream about. 10. Just around the corner from Prince William and Kate’s modest palace stands a residence worth more than $140 million. The property’s value continues to appreciate as its owner, Russian billionaire and Chelsea Football Club owner Roman Abramovich, completes renovations on his subterranean tennis court and automobile museum. 9. This $155-million property in Montana is the largest house in Yellowstone Club, a billionaires-only ski and golf community. Real estate developer, record producer and timber baron Tim Blixseth and his ex-wife enjoy heated floors, bathroom fireplaces, a huge wine cellar and their very own ski lift. 8. Hearst Castle in Beverly Hills is next on the list, at $191 million. Newspaper magnate William Randolph Hearst’s trustees have control of the estate, which is a heritage and tourist site, not to mention one of the locations from the classic film The Godfather. 7. Larry Ellison, co-founder and chairman of Oracle, owns the seventh most expensive home. Ellison Estate in Woodside, California is a 23-acre compound worth $200 million which took nine years to build. 6. Back to London now where Abramovitch’s neighbor, Indian steel magnate Lakshmi Mittal, has 12 bedrooms, Turkish baths, an indoor pool and parking for 20 vehicles. The property is valued at $222 million. 5. Sagaponack, New York is home to a $248.5 million property called Four Fairfield Pound which comes in at number five. The 29-bedroom property, owned by American investor Ira Rennert, has its own power plant and a 91-foot long formal dining room. 4. In fourth place is Villa Leopold, once the home to Belgian King Leopold’s mistress and now home to Brazilian philanthropist and widow Lily Safra. The $750-million wonder in the Cote D’Azure, France has also been captured on film, in Alfred Hitchcock’s To Catch a Thief. 3. Indian billionaire Mukesh Ambaris owns the next property on the list, a 27-story home with six underground parking levels in Mumbai. The home, which takes 600 staff to run, is worth $1 billion. 2. 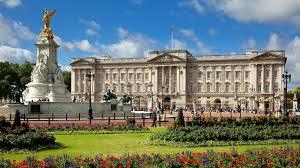 Not much surprise that Queen Elizabeth’s home and perennial London tourist destination Buckingham Palace made the list. The royal residence is a bargain at $1.55 billion. 1. The most expensive house in the world is at 17 Upper Phillimore Gardens in Kensington, London. Owned by Ukrainian oligarch Elena Franchuck, the ex-girls’ preparatory school, which beats the Queen’s residence by a mere $30 million, features an underground swimming pool, cinema and panic room.